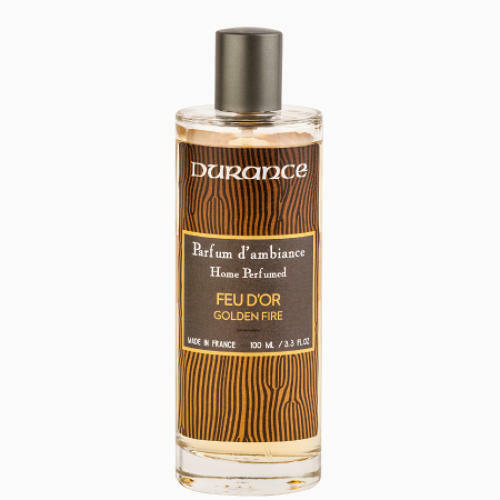 GOLDEN FIRE HOME PERFUME SPRAY - A lively golden fire in the middle of the sitting room. Dry crackling wood singing to the rythm of the dancing flames leaving a smoky woody wake. Morrocan cedar with hints of sandalwood and tobacco.